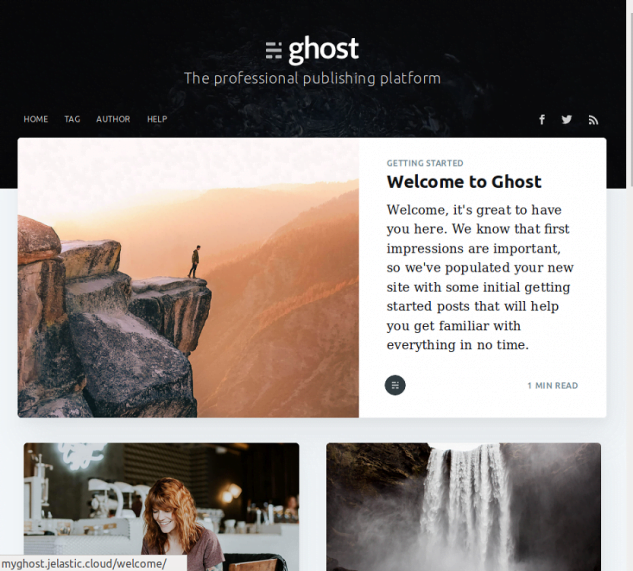 Ghost is a simple but powerful Node.js-based publishing platform, allowing people to share their stories with the whole world. It’s absolutely free and an open source project for blogs, available for use to anyone. Ghost provides a set of special tools, aimed to make blogging easy and even fun. In addition, this application has a great design and can be customized according to your preferences and requirements. 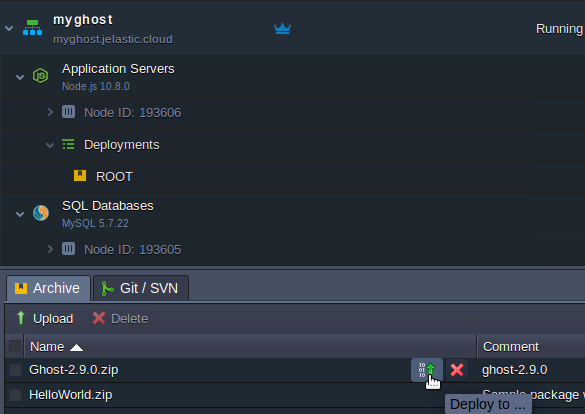 Now let’s check out several simple steps, describing smooth deployment of your Ghost project within Jelastic PaaS. 1. 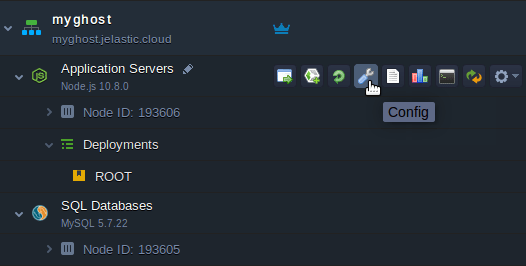 Log into your Jelastic account and click New Environment button at the top dashboard panel. 2. 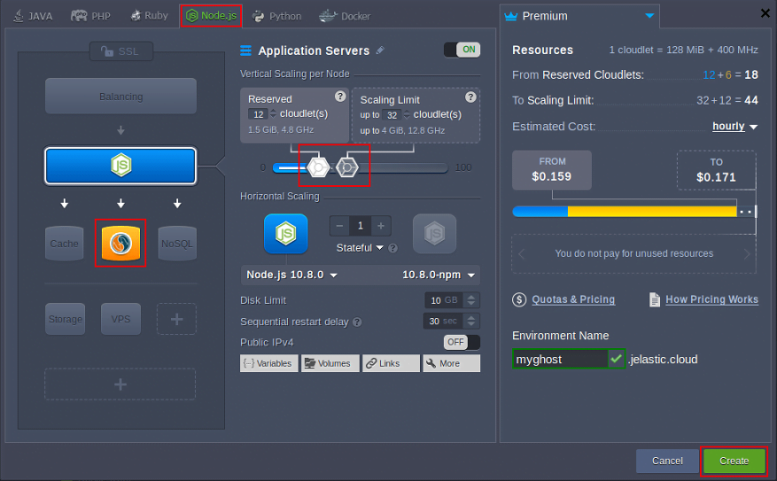 In the appeared dialog box select the Node.js tab, wherein NodeJS application server will be already chosen by default. Add MySQL database and specify the desired resource limits for the environment with the help of sliders, type your environment name (e.g. ghost), and click the Create button. 3. Wait about a minute for your environment to be created. 1. 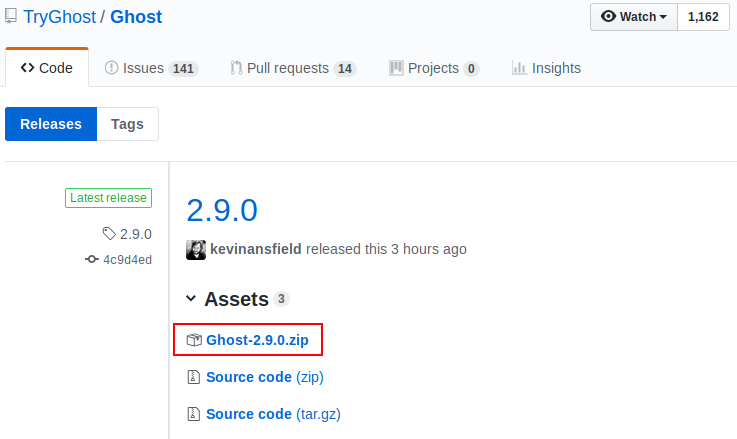 As an open-source project, Ghost can be easily taken from its repository at GitHub: you just have to choose an appropriate release. Click on the link in the red rectangle and make your choice downloading correspondent zip archive. Here we chose the latest version 2.9.0. 3. 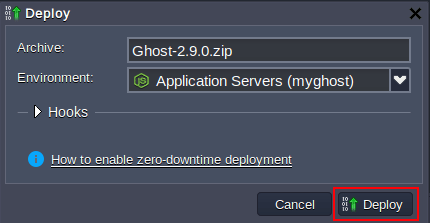 Once Ghost archive has been added to the Deployment Manager, press Deploy to button. 4. Choose your environment in the appeared form and press Deploy. Wait a minute until your project is built and deployed. 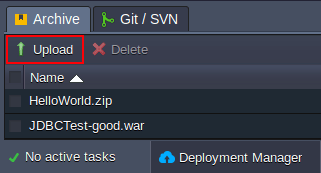 Additionally, you can set up deployment hooks (follow corresponding link for the instructions). 1. In order to access admin panel, simply press the Open in Browser button located near your SQL Database Node. 2. Input your Username and Password, which are sent to you by email while creating MySQL node, and press Go button. 3. 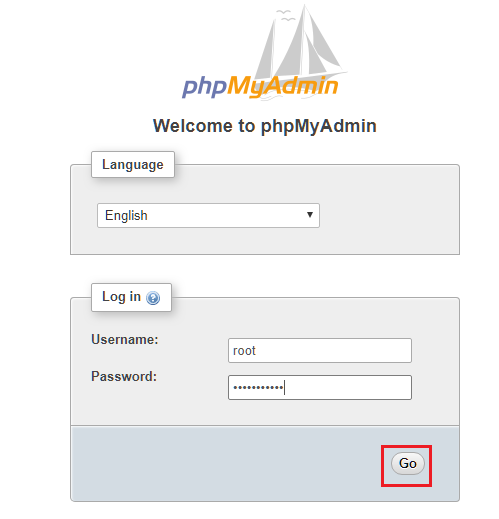 In phpMyAdmin dashboard click Databases tab, specify the database name (e.g. ghost), and create database by pressing Create button. The created ghost database will be displayed in the list of available databases. 1. 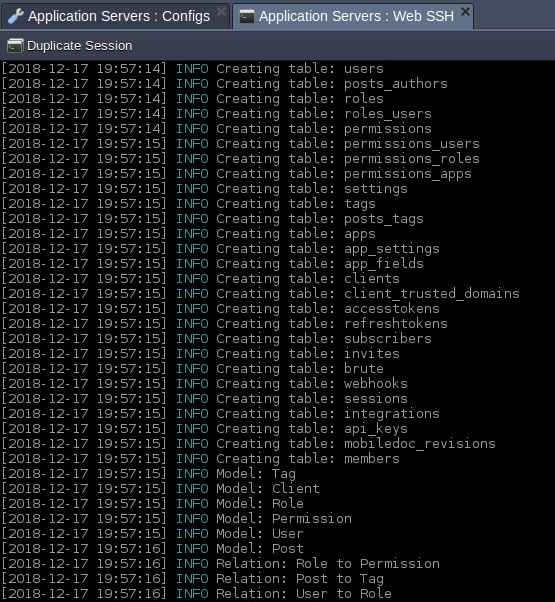 In the /home/jelastic/ROOT/core/server/config/defaults.json file change url and server sections by substituting <environment URL> with the actual link to your environment and <internal IP of Node.js container> with actual IP address of your Node.js node. Replace port 2368 with 8080. 5. Finally, restart the Node.js server using Restart Nodes button to apply the changes. Thus your Ghost application has been successfully hosted within the Jelastic platform. To get started, you just need to launch it by pressing Open in Browser button. Congratulations! Now you can benefit from all the functionality of Ghost application, creating and running your online publications, powered up by Jelastic PaaS. Try it out, just choose the Jelastic provider among the globally-available service partners.